Stifling heat for this first day on Raid in France, on the trek section of 76 kilometers. 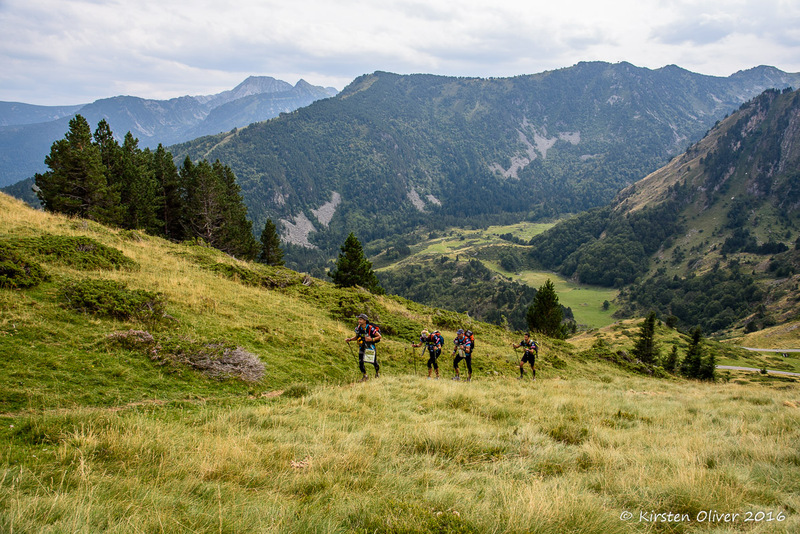 This long trekking section led the racers to the Carlit peak, granitic summit of the Pyrenees and highest point of the race (2 921 meters), and then to the Sault lands composed of a great plateau of medium mountain. It also resulted in the withdrawal in the afternoon of Sébastien Giraud, from team CLJ Aventure (1), quickly examined by the medical team. Reassured by his health status, his teammates bravely decided to continue the adventure. In the beginning of this race, no real surprises regarding progression speeds of teams: the hierarchy of teams is respected. New Zealand team Seagate (21), defending world champion, is leading the race, closely followed by the French of 400 Team Naturex (3) and Cap Opale (30). Behind, a few teams: RaidsAventure.fr (17), Issy Aventure (5), Aquitaine Safety (7) and also the Polish of AR Team Polska (31), with a great ascent during the race. All the racers mentioned the quality of this stage, physically difficult, demanding in terms of orienteering but really amazing when it comes to landscapes. A special mention to the multiple lakes around the Carlit peak. At the rear of the peloton, Team Belgium, loyals to their spirit since their first participation to Raid in France, are evolving at their own pace. Even the Spanish team, Aventure X-Perience (24), deeply attached to their Catalan spirits, decided to let them behind. After 7pm, 400 Team Naturex (3) reached CP7, where the teams will be blocked because of an impossibility to navigate during the night on the Aude river, a few minutes before Seagate. During the night, teams will check at this CP7. Tomorrow, they will leave at 7am, following the order of their arrival. After the 12 kilometer-raft, there will be a 91 kilometer-long mountain bike stage, quite rolling but difficult in terms of orientation, which will lead the teams to the Puilaurens castle, and then to the Creu and Llose cols.